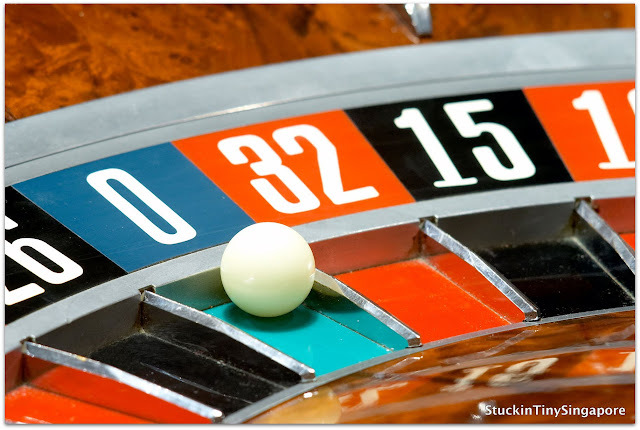 What are the things that comes to mind when someone mentions Macau? - Casino? Pork buns? Macau has been slowly creeping up the popularity ladder as one of the favourite place which Singaporean goes to for a short getaway. It is getting so popular that even the recent season of the the last few episodes America's Next top Model Show was filmed in Macau!! 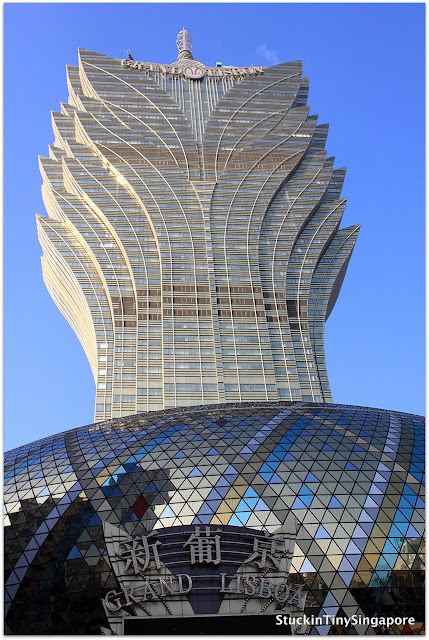 To help you to plan your trip to Macau, here is my list of top ten things you can do when you are there. Bear in mind that what is listed are my suggestions, and may not be your cup of tea. The most recognised building associated with Macau. This is definitely a must visit. Just beware that you will be fighting off the tons of tourists getting that all important photo posed in front of the facade. This UNESCO World Heritage Site is where you will find most of the important and historical buildings of the former Portuguese colony. Here, you can find the buildings of Leal Senado, the General Post office and St. Dominic's Church. A tip is if you can get here very early before the tourists or even locals arrive, it's wonderful and deserted, best for taking all your pictures then. Mount Fortress is located just next to the St Paul's ruins but so little venture the climb up. For the few who take the effort, they will be rewarded with a fantastic view over Macau. At the top at Mount Fortress, one can find the Macau Museum. Again this piece of gem is missed by most tourists. 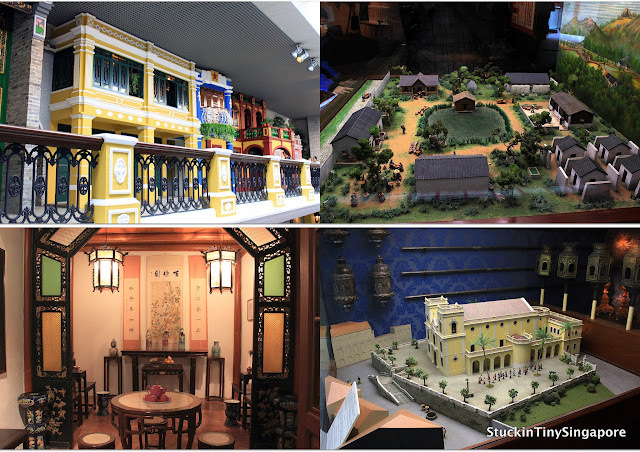 It houses a wonderful collection of Macau's history, great dioramas. A fantastic way to learn more about Macau's fascinating past. Continuing on the Macau's history trail, A-Ma's temple is placed firmly on that list. This temple is the oldest in Macau, built in 1488 during the Ming Dynasty, it reflects on Macau's past as a fishing port. Fishermsn then prayed to Ma-Zu, the goddess who guards over the fishermens' safety. When I am visiting a place, I always like to take in the place by going up high to get a overall view of the place I'm visiting. 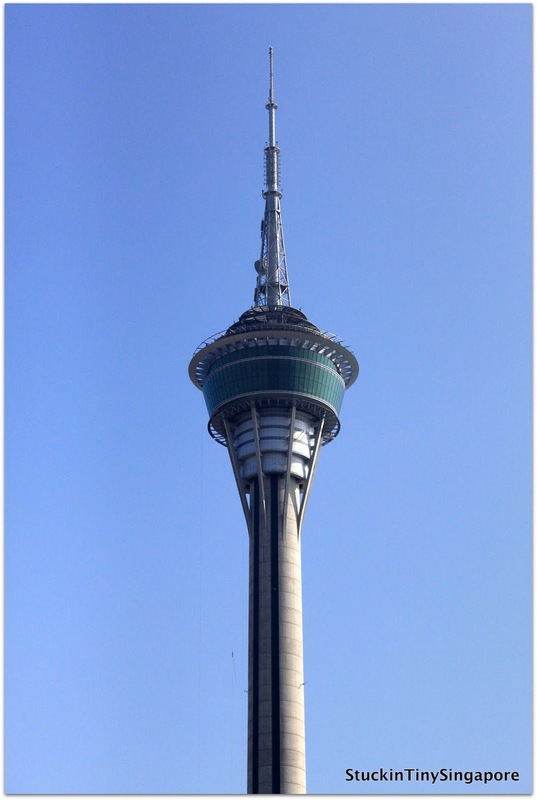 For Macau, you have one choice - which is to go up Macau tower. For the braver and more adventurous ones, you can always do the skywalk where you are in a harness and get to walk around the outside of the tower. Definitely not for those who are afraid of heights. 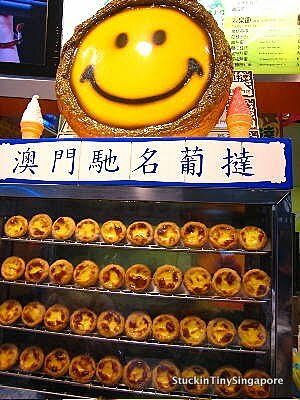 Portuguese egg tarts are famous in Macau. The most famous being the Lord Stowe's. So go and have one while you are in Macau. Another famous food item from Macau, this pork chop bun shop was even featured on a popular korean drama series!! Try it, munching it as you walk towards St Paul's and soak in all the atmosphere. One cannot come to Macau and not visit at least a few casinos. You will be spoilt for choice as there are plenty to choose from. 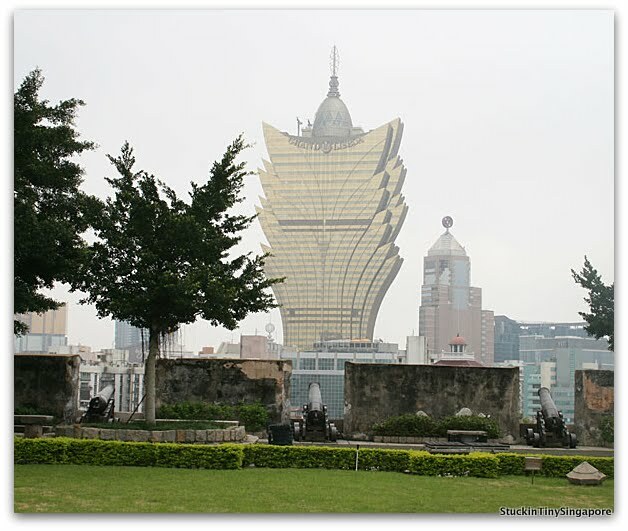 My recommendation is definitely to visit Casino Lisboa, as it is unique to Macau. 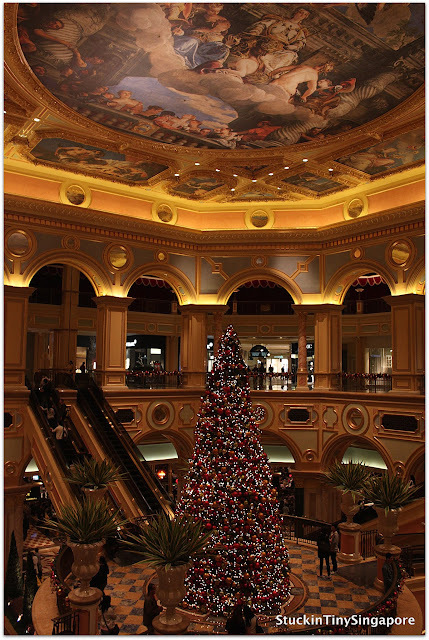 If you have not been to Vegas, then pop into Venetian to see the ostentatious interior which will blow you away, or pay for a gondola ride along the canals within the hotel/casino. Another not to be missed is the City of Dreams which consist of several hotels and casinos. You can get to all the casinos using the free hotel shuttles. Great post about Macao! In addition to what you have mentioned above, do check out our post on the Top 5 things to do in Macao!